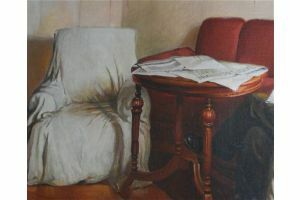 I personally bought this painting in Ukraine (former USSR). It was used for propaganda purposes. The painting has been professionally restored in some places. (No major damage but some wear in the colors.) The painting will be sent rolled. 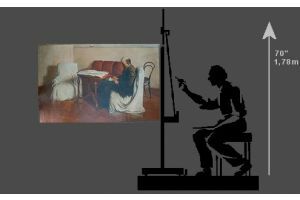 The artist has chosen a specific time and place for the action of the subject of the painting – the first months of the Soviet regime whose Central Committee was located in the building of the Smolny Institute for Young Noble Ladies in Petrograd. Smolny was at the time the HQ of the Revolution. 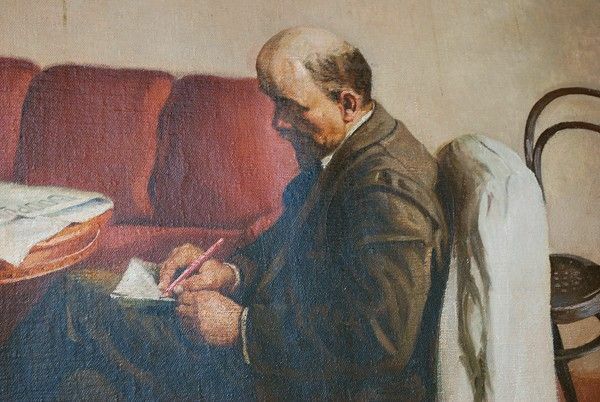 Brodsky wanted to convey an absolute portrait likeness and the concentrated, business-like appearance of Lenin. The figure is drawn practically life size, which enhances the sensation of reality and allows the viewer to feel himself right before the leader, as it were. The depiction by the painter of the study is just as accurate and painstaking. 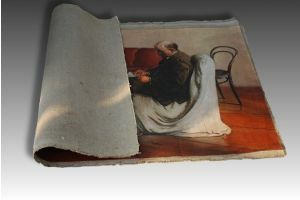 The colour structure of the painting is as close as possible to the real paint. The artist paints every detail right up to the electricity cabling and outlet. This specificity helps strengthen the accuracy of the portrayal and underlines the historical importance of the moment. 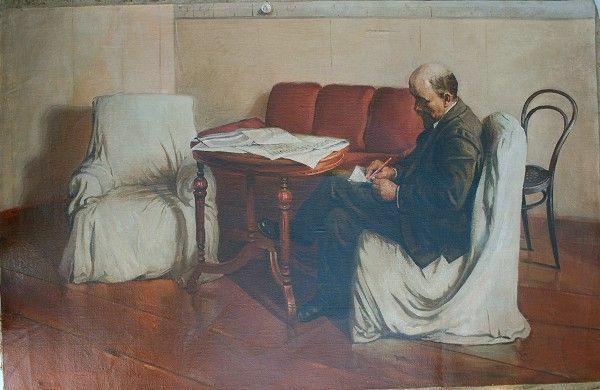 The painting was done after Lenin’s death and was intended to canonize the image of the leader of the world proletariat. Isaak Izrailevich Brodsky (Russian: Исаак Израилевич Бродский, 6 January 1884 - August 14, 1939, Leningrad) was a Soviet painter whose work provided a blueprint for the art movement of socialist realism. 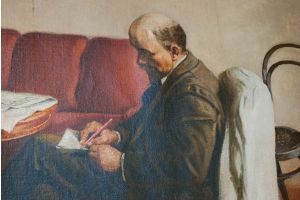 He is known for his iconic portrayals of Lenin and idealized, carefully crafted paintings dedicated to the events of the Russian Civil War and Bolshevik Revolution. Brodsky was born in the village of Sofiyevka in Ukraine, Russian Empire. He studied at Odessa Art Academy and the Imperial Academy of Arts in Saint Petersburg. In 1916 he joined the Jewish Society for the Encouragement of the Arts. 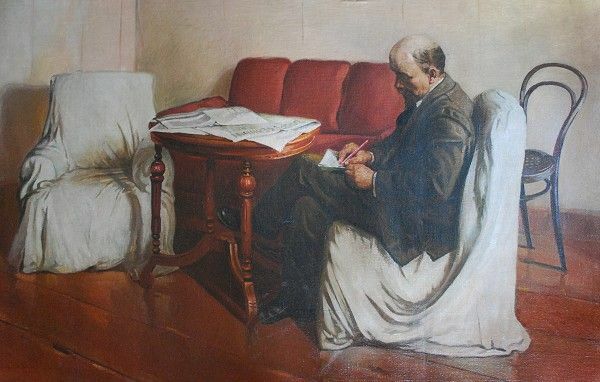 When Brodsky asked Lenin to autograph his painting Lenin, he said: "I am signing to what I don't agree with for the first time". Brodsky was on good terms with many leading Russian painters, including his mentor, Ilya Repin. 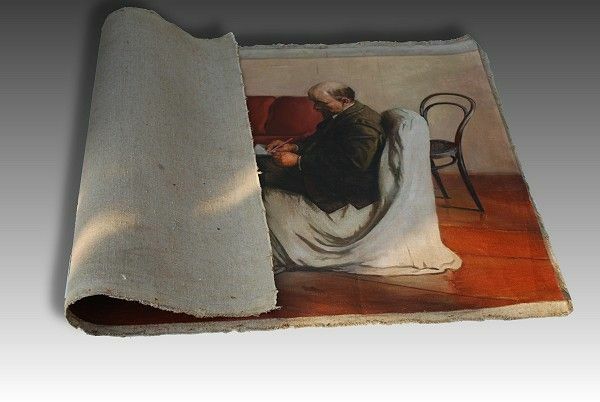 He was an avid art collector who donated numerous first-class paintings to museums in his native Ukraine and elsewhere. 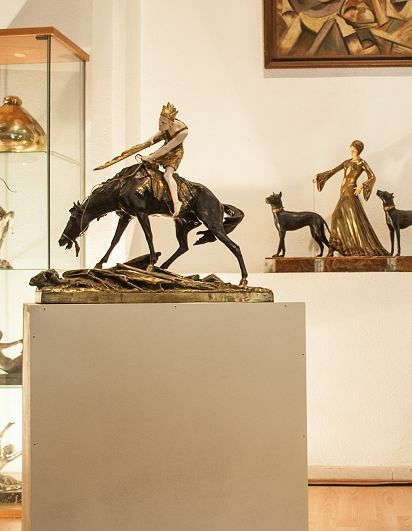 His superb art collection included important works by Repin, Vasily Surikov, Valentin Serov, Isaak Levitan, Mikhail Vrubel, and Boris Kustodiev. 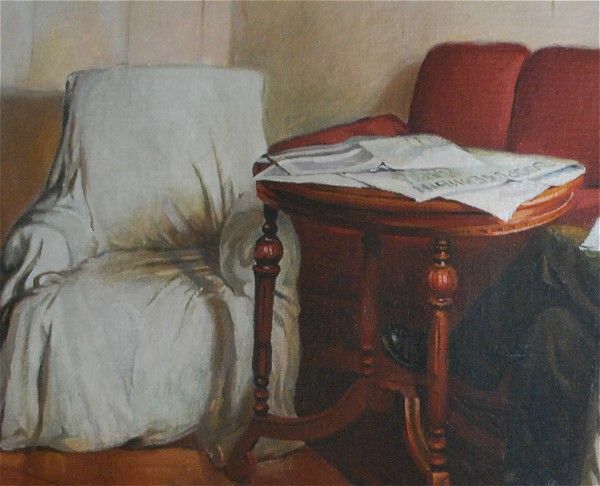 After his death Brodsky's apartment on Arts Square in St. Petersburg was declared a national museum. 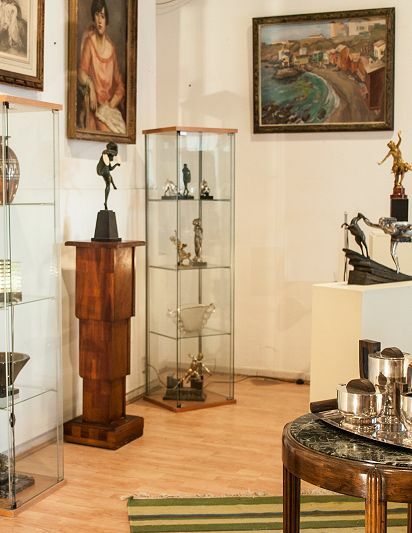 His art collection is still on exhibit there. Brodsky was an Honoured Artist of the Russian SFSR and a member of the Union of Russian Artists. He was the first painter to be awarded the Order of Lenin.In 1934 he was appointed Director of the All-Russian Academy of Arts. 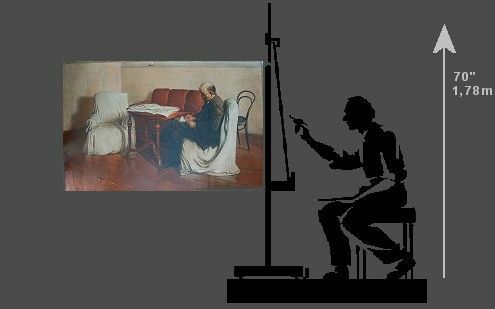 In 1934 -1939 he was also a head of personal Art workshop in institute, his pupils was the well-known soviet painters Nikolai Timkov, Alexander Laktionov, Yuri Neprintsev, Piotr Belousov, Piotr Vasiliev, Mikhail Kozell and others. His memoirs were published posthumously.